Another fun summer nails for getting ready for the sunny season! 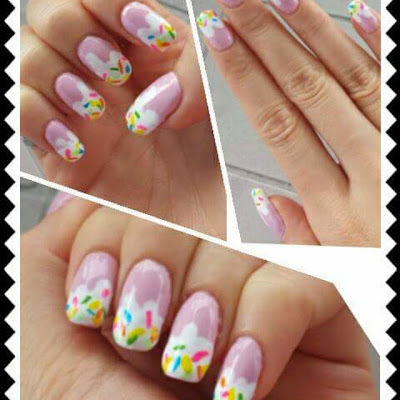 These ice cream nails are very easy to make and will make you happy (and possibly people around you too)! You can use any color of base (I used pink thinking of strawberry flavor :D). I then messily painted a layer of white as a whip cream on top of the pink.This does not have to be neat, since you want to achieve the dripping effect. Then at the end I just used different color nail stripper for the candy bits!